Free WordPress themes are always been great resources for any designers and developers. You should be very careful downloading and using free WordPress themes from unfamiliar websites, and you should never download premium WordPress themes from file sharing or torrent sites due the to risk of malicious code and other nasties. In this article I am going to share with our readers 20 beautiful free custom background based WordPress themes. This free wordpress themes comes with lots of useful feature like responsive design, retina ready, unlimited color options, many google fonts and lot more. We hope you’ll find our fresh free WordPress themes collection useful. And please comment below if you have or know any well designed fresh free WordPress themes. If you like our art collection, so check out these other posts will interest you too: Inspirational Coffee Web Design Showcase, Useful Free Portfolio Slider WordPress Widgets, High Quality Free Typography Plugins for WordPress and Amazing Premium WordPress Themes for Online Shop. Lovecraft is a fashionable solution for your personal blog or website. Prominent custom headers and featured images give your visuals a bold presence, three footer widget areas offer plenty of space for secondary information, and striking typography and attention to detail makes your content the star. Lovecraft is also responsive, meaning it looks great on mobile phones, tablets, or desktops. Libretto is a responsive one-column theme with classic styling and careful typographic details. It’s ideally suited to showcasing longform writing interspersed with beautiful images and inspiring quotes. Personalize your site by uploading a Custom Header and a Site Logo. On posts and pages, your Featured Images, if set, will replace your header image. Use a large image and it will display full-screen, with the title of your post or page layered on top. Blask is a modern portfolio theme that displays your work in a clean, minimal layout. The simple-yet-bold grid design keeps the spotlight on your projects, and scales to fit any screen size. Blask comes with a beautiful blog page, perfect for sharing your thoughts and sparking a conversation with your visitors. Whether you’re an illustrator, designer, or photographer, Blask is the perfect canvas to showcase your creativity. Blask takes advantage of the Portfolio feature, offering unique layouts and organization for your portfolio projects. Weddings is an elegant, responsive WordPress theme designed for wedding websites. The theme includes multiple pages, homepage slider and gallery support. It uses special pages to deliver the story of the bride and the bridegroom, as well as wedding details and to create online invitations. Adaption is a flexible, responsive theme that makes you look good on any device. Its strong structure supports any type of content, while full-width featured images help your content pop. An optional right-hand column displays if you add widgets to the second sidebar. Superhero features a heroic full-bleed Featured Content area, full-bleed featured images, a fixed header, and subtle CSS3 transitions. If you would like to remove the sidebar from a page, assign it the Full Width template under Page Attributes. Superhero has a single, primary custom menu area in the header, that can be set up by going to Appearance → Menus. 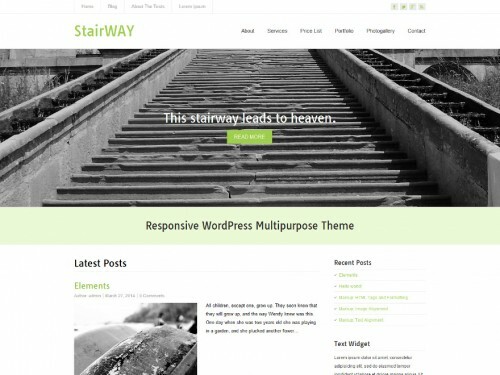 StairWay is an easily customizable WordPress multipurpose theme. It is a fully responsive theme that allows for easy viewing on any device. StairWay theme offers 3 pre-defined color schemes, 220 Google fonts, Theme Options panel for easy adaptation to your needs, custom widget for displaying the latest posts from the selected categories on your homepage, 2 header menu areas, social network profile links, theme documentation and much more. 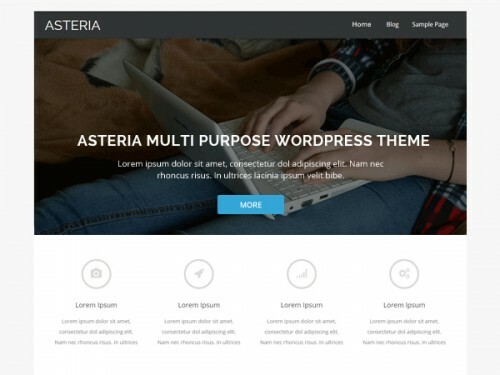 Asteria Lite is a clean responsive theme with a beautiful slider, Narrow and Wide Layout Option, 10 Social Icons and 3 page templates – Full width page, Left sidebar page and a Blog page Template. The theme also allows you to design your site logo with 600+ fonts. 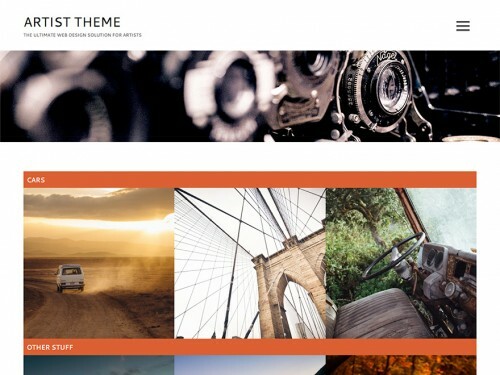 The Theme also has a Maintenance Mode feature, Beautiful Gallery feature, Custom CSS feature, Import/Export feature and is fully compatible with Woocommerce and Contact Form 7 Plugin. Flat is a charmingly flat and minimalist design that is new to the WordPress Theme Repository. It has a customizable blurred background, off-canvas sidebar and uses Twitter Bootstrap and Font Awesome. White is a very unique, refreshing and amazing theme with plenty of amazing features. With a fully responsive design, this theme will work beautifully on all tablets, smartphones and desktops. Market is my first WordPress theme designed for WooCommerce. This theme has a Minimalistic design, with some stunning CSS3 Powered animations. Fully Responsive in Nature, this theme offers you everything you want from a Woo Commerce theme. 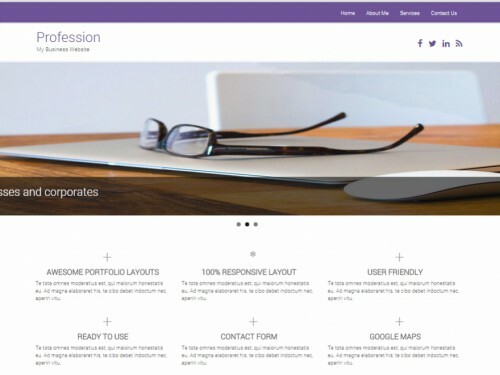 Profession is a bootstrap based fully responsive theme that works great on any device. Pre-configured homepage and additional page templates, makes it a ready to use theme that can set up any website within few minutes. It has a full-width, a left side-bar, a right side-bar page templates as well. You can also select the contact page template to set up the contact page in seconds. Artist is a free WordPress theme designed to give artists the tools they need to publish their work online. The ultimate WordPress theme for artists. Includes a Jetpack-powered portfolio template to keep your content portable between other themes. A responsive modern design theme geared to unleash your website content potential. Built based upon HTML5, CSS3 and the rock solid Hybrid Core framework, ensuring the best design and backend code. Built in touch ready featured content slider with configurable content options, you can easily show your best content to audiences. HTML5 & CSS3 Responsive WordPress Business theme with business style home page layout with welcome section, 3 product/services blocks and a client quote/testimonial section. 2 logo section layout options. Pictorico is a single-column, grid-based portfolio theme with large featured images and a post slider, perfect for photoblogging or a portfolio site. Pictorico looks its best when you assign a Featured Image to your posts. Featured images appear on the blog index and archives; if no featured image is set, a solid background color is shown instead. Twenty Ten is our first update to the “default” theme (the one you see when you start a new blog) on WordPress.com. The goal with Twenty Ten was to create something stylish, customizable, simple, and most of all, readable. Edin is a fully responsive theme, ideal for creating a strong – yet beautiful – online presence for your business. Edin is responsive, from desktop to mobile, and everything in between. The theme adapts to any screen without sacrificing usability or design integrity.